Desktop.ini is a temporary folder created by your system when you open a new file. 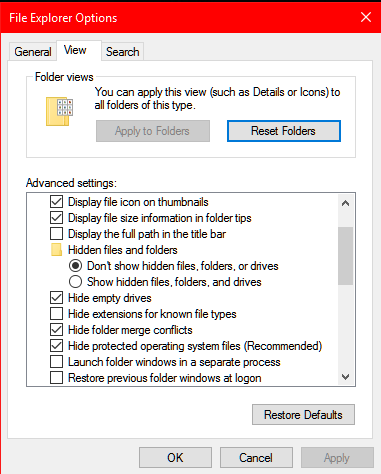 Normally it does not appear in folders but if you had unchecked option “Show hidden files, folders and drive” in folder options. To stop appearing Desktop.ini whenever you open any folder, follow these steps. 1. Type “Folder options” in the search bar and select “File Explorer options” from there. 2. Select “View” from the second tab from “File Explorer options”. 3. 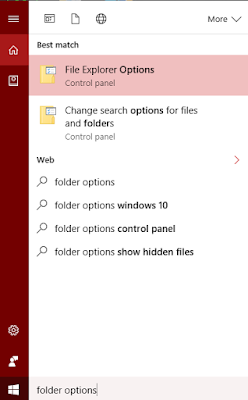 Now select “do not show hidden files, folders and drive” instead of “Show hidden files, folders, and drives”. 4. Next, tick “Hide protected operating system files (Recommended)". 5. Now, click on Apply button to apply changes. 6. After that, click OK to complete the process.